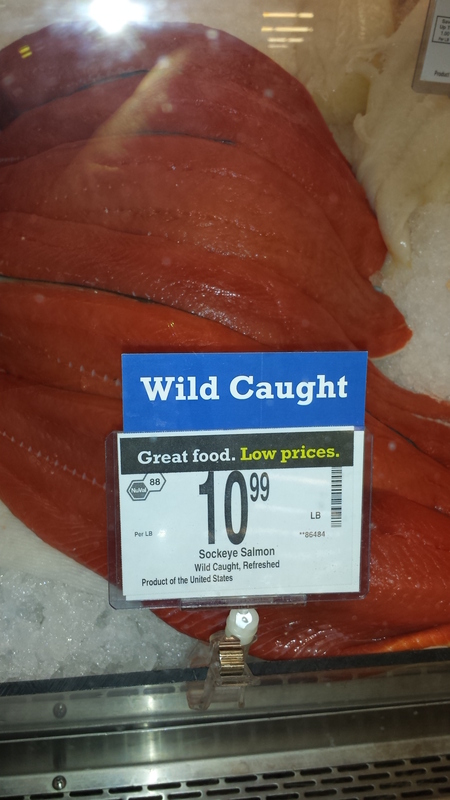 I was shopping for a piece of salmon the other day and couldn’t help but notice this sign in the fish case. I wonder what they used to refresh him? An ice cold Budweiser? And since we’re in AZ, as I write this blog, Bill is of course outside battling his archenemy — the acacia tree. He just keeps cutting it back. Pretty soon it’s going to be nothing but a stump, which is what I think both he and Jen want. Then we will have to deal with what to do about a stump in your front yard. Maybe put a pot with a cactus in it and fight with the homeowner’s association later. We have had nice weather here in AZ so far, though I think it’s supposed to turn a bit warmer as the days go by. Bill and I had already been enjoying our Denver backyard, and so we are glad that we can sit outside here as well. Cole was over one day while we were in Denver, and he was having an extraordinarily good time entertaining himself. 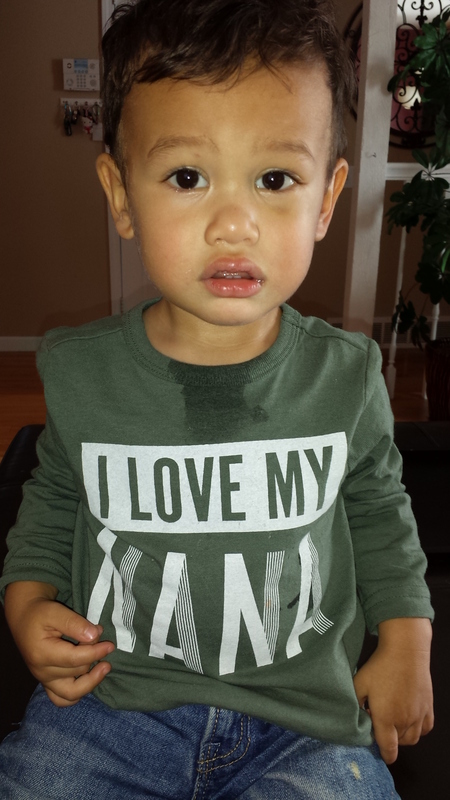 He would take rocks from the side of our yard and move them. Simply move them someplace else. He found it quite a bit of fun. But I will tell you what happened the evening after he left. I have a rocking chair in the backyard, and during the early spring, the squirrels got ahold of it, made a hole in it, and began using the stuffing for a nest. I wasn’t too upset as the cushion was in need of being replaced anyway. I just hadn’t gotten around to it. But that evening, despite the hole, I sat down in the chair with my gin and tonic in hand. Hmmmm, I thought. This doesn’t feel very comfortable. I wonder why. I got up and looked at the cushion and what do I see but three or four rocks nestled into the hole. I wonder how they got there? While in Denver, one afternoon I drove over to our nearaby Chick-Fil-A to get Bill and Alastair some lunch. Two Chick-Fil-A combos and an order of six nuggets. Now, let me explain something. The 2003 Volkswagen Beetle is an adorable little car. There are many things I love about my car. But one of the things that the Germans didn’t think through was the cup holder in the front seat. It swings out so that you can fit one normal sized drink as long as normal means a drink in a cup no larger than six inches high. As for the other cup holder – fugittaboutit. It’s, for all intents and purposes, useless. So, because my two combos included two drinks – and I only had one workable drink holder – I asked the cashier in the drive-thru for a drink holder. But I didn’t stop there. I began apologizing to her and explaining about my cars drink holding limitation. After already going into much more detail than I needed, I began wondering about what in the world makes me feel I need to explain everything. The truth of the matter is that the 16-year-old girl couldn’t possibly have cared less if or why I needed a drink holder. Oy vey. And one final story that I will tell on myself. Bill and I made a trip to Winco today. Winco is a large economy-priced grocery store that is owned by the employees. (And once again I am explaining myself when it doesn’t matter what Winco is.) 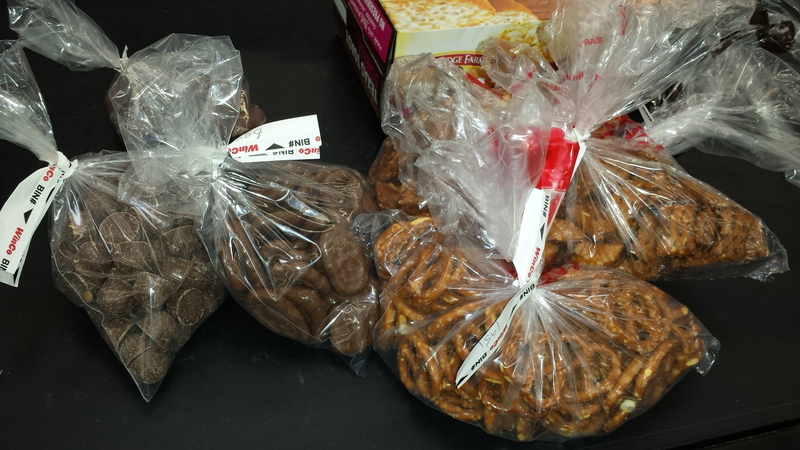 Anyway, one of the things we like about Winco is that they have bin after bin of bulk products, including such things as pastas and spices and candy and chips and pretzels and legumes. Think anything bulk and they have it. So Bill picked out a bunch of chocolate-covered peanuts and bananas and caramels and I picked out Jelly Belly jellybeans. A shameful amount of all, really. But we also bought some healthy things like milk and eggs. When we got to the check stand, I realized that I had bought 2% milk rather than fat free. I actually was considering giving up my place in line to go to the back of the store and exchange my milk. Suddenly I looked down at all of the candy and snacks we had purchased and told Bill, “Uh, never mind.” Sometimes I can only laugh at myself. And I’m worried about 2% milk? That tree needs to go. You are like the Princess and the Pea. It was only a few rocks, Nana!